Wilex main aim is to support our local farmers on island. Samoa is a small country tucked deep in the heart of the Pacific and the only way for our farmers produce to make it out to the world is to be manufactured and packed beautifully and to the highest quality. 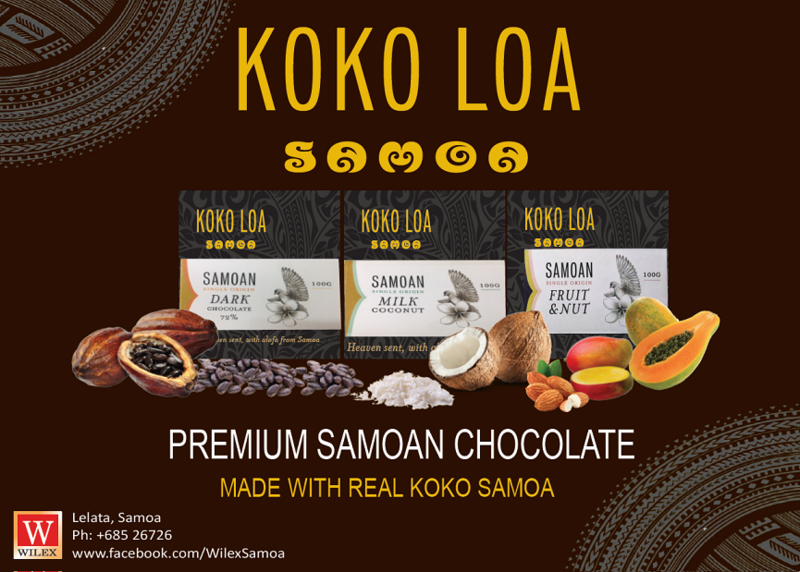 Wilex does this through research and development of locally available produce to make high demand quality products for the world like our very own Koko Loa Chocolates and our soon to be launched Samoa Noni Loa Health Juice.